Lincoln is known for manufacturing some of the most luxurious vehicles on the market today, but it might just be an unreleased concept vehicle from nearly sixty years ago that stands as the brand’s finest display. Now, the 1955 Lincoln Indianapolis Concept is heading to auction, giving those with a little bit (okay, probably quite a bit) of cash to burn an opportunity to own a rare and beautiful piece of automotive history. 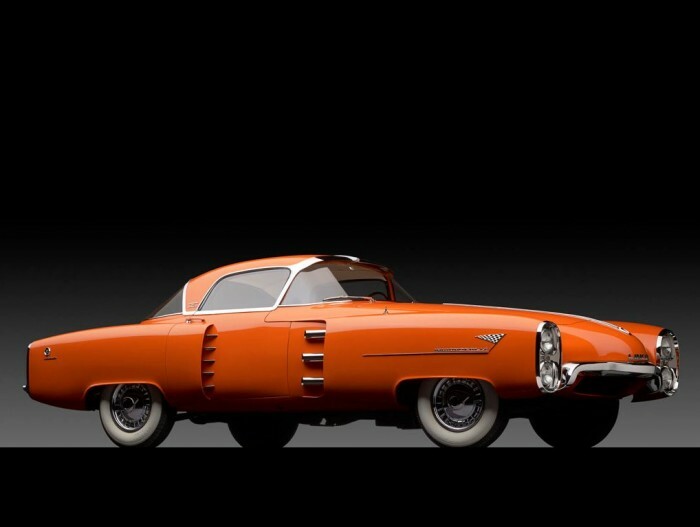 The ’55 Lincoln Indianapolis Concept—a smooth orange sports car with a unique body design, whitewall tires, and a floating roof that kind of reminds us of something—will be auctioned off by RM Auctions and Sotheby’s on November 21st in New York. Though we’re quite positive the Indianapolis Concept will be snatched up for nothing less than an exorbitant price, ogling its beauty is free, so get in on some quality looking. Perhaps if this V8-powered peach fetches a high price and gains enough interest, Lincoln will reinvest in a modern equivalent for the sports car enthusiast. The world could certainly use more lovely things like the 1955 Lincoln Indianapolis Concept. Sanderson Lincoln on Bell Road is a 2012 Ford President’s Award winner for excellence in customer service, located in Phoenix, Arizona. In addition to new Lincolns and used cars, this Phoenix dealer also provides a large service department, Lincoln parts, and auto financing assistance. Sanderson Lincoln takes driver satisfaction to heart with each and every customer.